Is thrilled to be returning to NYMF.and living out her ice skating dreams! She played Nessarose in the Broadway, LA and 1st Nat companies of Wicked (Elphaba cover). Other NY: The Anthem (Culture Project) bare (Dodger Theatricals), Chick Flick (Loft 227), Its On and Standby with NYMF, Forever Deadward at New World Stages as well as numerous workshops and readings. TV/Film: Libby Chessler on Sabrina the Teenage Witch. Guest staring roles on Bones, Ghost Whisperer, Castle, Cold Case, ER, Dharma and Greg. Feature film credits include You Again, and the upcoming My Eleventh, Hard Sell and I am Michael. Tony is originally from Fredericton, New Brunswick, Canada. He came to live in NYC for the past four years as a member of the Broadway cast of Rock of Ages. He has performed all over the world in countries like; Australia, New Zealand, Singapore, Hong Kong, Greece, Italy, Croatia, Bermuda, Central America, The United States and Canada. Selected credits include: Rock of Ages (Broadway), The Last Five Years (TNB), The Boys in the Photograph (Toronto), The Boy From OZ (Australia), Joseph and the Technicolor Dreamcoat (Australia/Asia Tour), The Rocky Horror Show (TNB), Urinetown (TYT), Seussical, The Decameron, The Bricklin, Canadian Explosion... TV/Film: South Pacific (Disney), The Soldier’s Sweetheart (Paramount), The Way (CBS pilot), Black Dawn (CBC), It Could Be Worse. 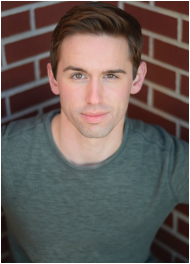 Andrew is thrilled to be a part of Tonya and Nancy: The Rock Opera at NYMF. NATIONAL TOURS: A Christmas Story: The Musical. Favorite REGIONAL/CONCERT: Reefer Madness (10th Anniversary Reunion Concert), Les Miserables (Musical Theater West), The Addams Family (The Theater Barn), Rockers on Broadway. Up next, Andrew will be heading out on Norwegian Cruise Line with their inaugural production of Priscilla: Queen of the Desert. BFA Roosevelt University Chicago College of Performing Arts. NATIONAL TOURS: Flashdance The Musical (Gloria); How the Grinch Stole Christmas (Phyllis Who). REGIONAL: The Music Man (Zaneeta) at the Engeman Theatre and Harbor Lights Theatre Co.; Lady Windermere's Fan (Lady Agatha) at Pittsburgh Irish and Classical Theatre; World Premiere of M33 (June Havoc) at Point Park Univ. Chase is thrilled to join the cast of Tonya & Nancy: The Rock Opera. 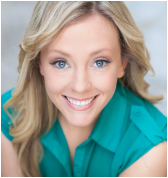 Chase earned her Bachelor of Music Education Degree from Loyola University and an MFA from Tulane University. 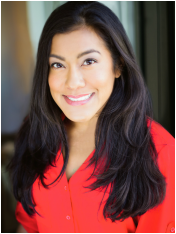 Regional credits include: Miss Saigon (Gigi), West Side Story (Anita), Oliver! (Nancy), Rent (Mimi), Soul Doctor, The Wiz (Dorothy), Little Shop of Horrors (Crystal) and A Streetcar Named Desire (Stella). She also toured the globe as a Principal Singer with Norwegian Cruise Line and as a Victory Belle with the Victory Belles of The National WWII Museum, where she was honored and blessed to entertain U.S. veterans throughout the country. Tatiana couldn't be happier to be apart of NYMF! 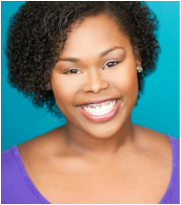 She graduated from Pace University's Musical Theater Program in May. OFF-BROADWAY: The Lost, Or How To: Just Be. PACE UNIVERSITY: Once on This Island, Godspell, Anyone Can Whistle. READINGS: Jasper in Deadland, We Foxes, Darling. CONCERTS: Second Stage Theatre 2014 Spring Gala, RSO @ 54 Below, Hatched at Joe's Pub. Smashing knees and taking names, Dwayne is thrilled to join the cast of Tonya and Nancy: The Rock Opera. 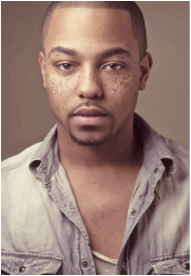 A Baltimore native and a New Yorker at heart, he is a Juilliard graduate holding his degree in Opera Performance. NYC CREDITS: Freedom's Song (Joshua- Emerging Artist Theater New Works Reading), RENT (Tom Collins-NYIT Nominee Outstanding Actor in Featured Role), Some People Run (Jace Debris - Strawberry Theater Festival NYC) La Doriclea (Artabano-US Premier). Favorite REGIONAL AND LONDON CREDITS: Ragtime (Ensemble,Coalhouse u/s), Color Purple(Harpo u/s), One Flew Over Cuckoo's Nest(Chief Bromden), Songs from the American Motel (Himself), La Boheme (Barman- Olivier Best New Opera Production).